East Anglia’s fastest manicure man – Andy Tran! After Andy’s extensive nail and manicure training, he worked in busy London nail bars. Working on the finger tips of business women with money but no time – speed and accuracy was crucial! Now Andy runs TT Nails in Newmarket. 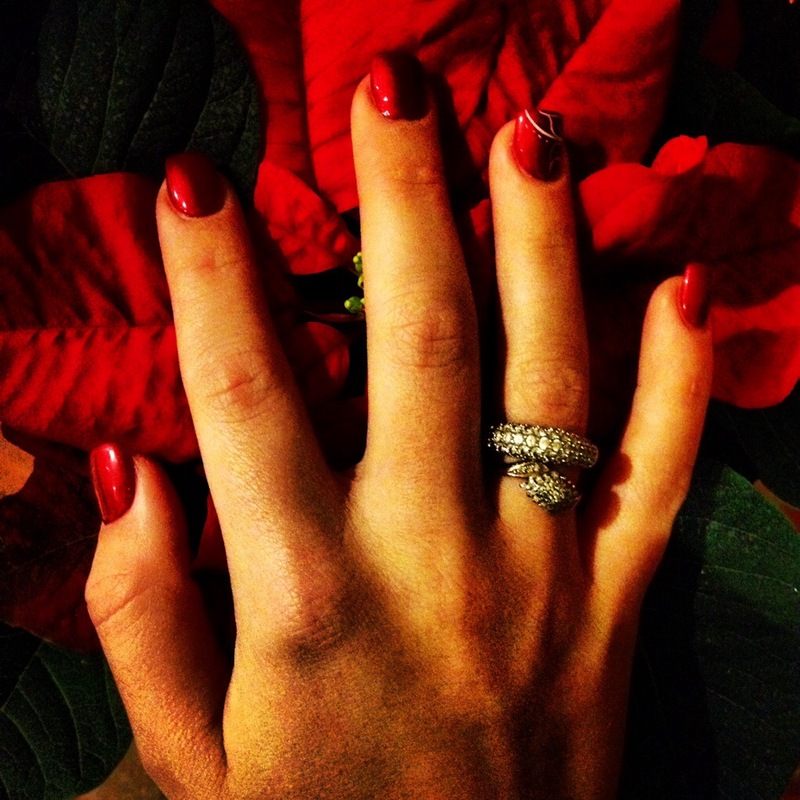 I love popping in to the salon to get my nails fixed, extended or designed by Andy. Despite the team, that consists of Andy and his wife, being rushed of their feet you will always be welcomed with a smile! What’s more, your extensions/infills and Gellish colour on top will take no more than 30minutes! I have always been so pleased with Andy’s creations. 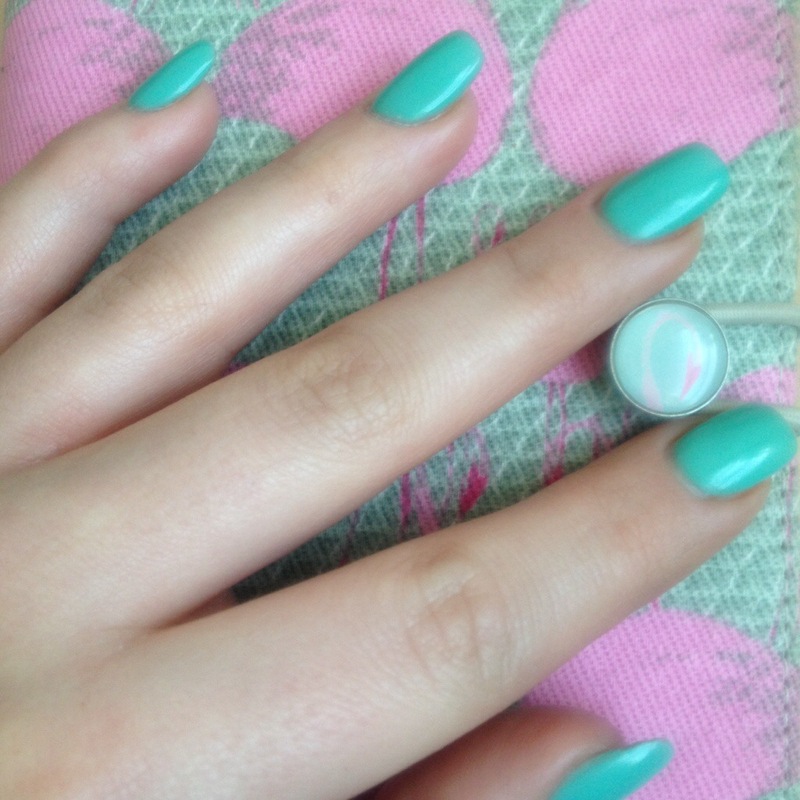 Last week I decided to bravely jump into spring with this gorgeous pastel Easter shade of green! As a young girl I would always be picking the prettiest flowers from the garden, putting them in a vase and proudly displaying them on our kitchen side. Despite our garden frequently looking less colourful because of this, my Mum could appreciate my admiration for red hot pokers, daffodils and tulips! As I got older and with pocket money to spare, I would buy lots of different flowers from the shop and wrap them myself in cellophane and ribbon to present to friends and family. Six small flower sets at around £4 each would create two beautiful home-made bouquets. Well now I know about Bloom & Wild! “Longer lasting whole flower bouquets. Through your letterbox. At prices you won’t believe” they say on their Twitter page. Not one part of that is a lie. Bloom and Wild have a slick and easily navigated website. 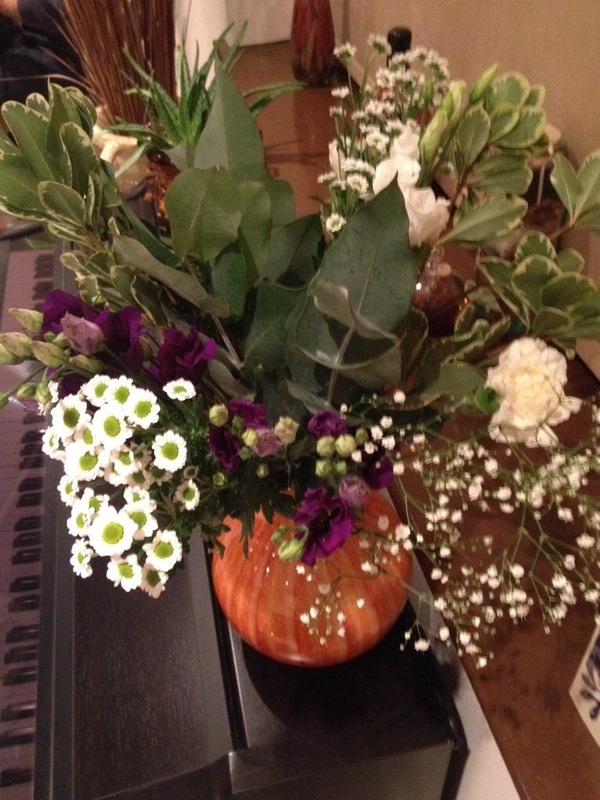 Single purchase bouquets start at just £16.00. The flowers will be freshly cut on the Wednesday, neatly laid out in a box suitable for most letterboxes and delivered on a Thursday. The novelty of receiving flowers through a letterbox just does not seem to get old and allows the recipient to be in, out, washing their hair or simply unable to get to the door to sign for a delivery. Each stem seems to spring to life as you take it out of the box and into a vase. So far I have purchased just-because flowers, Break-a-leg flowers, Sorry flowers and Happy Birthday flowers. Now it’s about time I signed up to their subscription service! 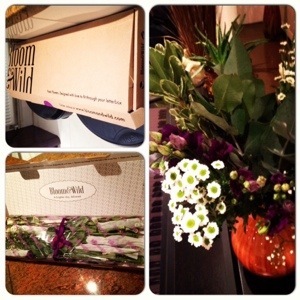 The idea of Bloom and Wild is that you subscribe to receive monthly (or weekly) flower deliveries. Psst: Bloom & Wild have also just partnered up with Neom Organics to offer an incredible competition prize. 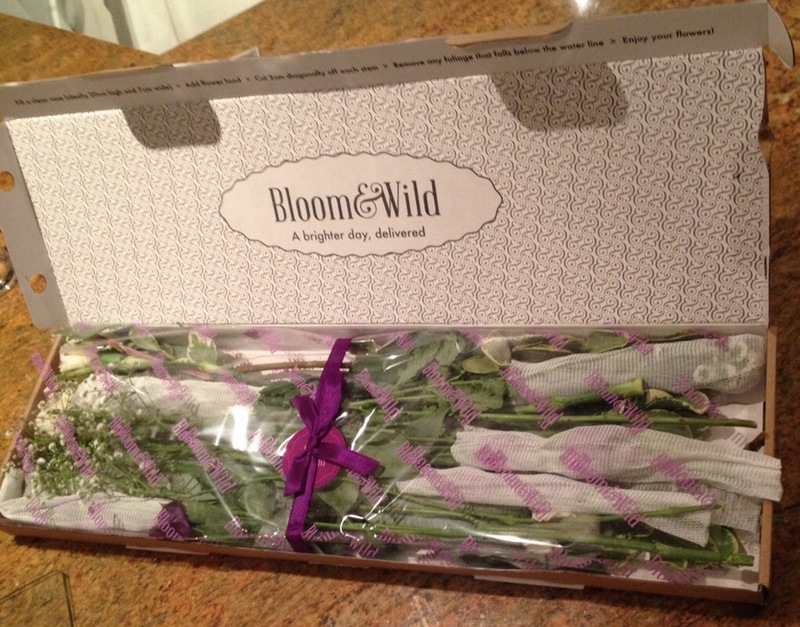 Find Bloom and Wild on Twitter ( ‏@BloomandWild ) or sign up to their newsletter for more details! Bren Pauls Beauty – Wax, chat, and always go back! Newmarket’s gorgeous beauty salon (and my favourite waxers), Bren Pauls have launched their website. Offering a full range of waxes for both men and women, I regularly pop along for waxing and to have a catch up with the lovely Michelle and Sasha. The interior decor is glam but has a feel that welcomes both sexes. Whether you are looking for a relaxing pamper session or a less-painful-than-you-might-think waxing session make the effort to book in to Bren Pauls, Newmarket! Each time I have my eyebrows “done” I am surprised by how much my facial shape changes! When will I learn that this is a treatment that I need to regularly keep up with. I have never fallen into the trap of waxing or shaving (!) my eyebrows into a skinny slug like shape on my face but the flip side of this is that perhaps I have had years of bushy brows! During one trip to Bren Paul’s, Michelle gave me “HD Brows.” -What a phenomena! Before the treatment, Michelle explained that HD Brows is actually a treatment, developed to leave with you the best brows for your face. Results of my HD Brow experience! 1) Consultation – Michelle will chat to you to determine which brow shape will best suit your face and what colour your brows should be. 2) Tinting –Unlike me, if you have over-plucked brows, Michelle will will tint your brows to match your natural colour. As it was my first HD treatment Michelle gave me a light greyish black colour. My brows are naturally quite dark so next time I am ready to go a little darker to achieve an even more striking effect! The dye is left on for a matter of minutes and then simply wiped off gently. 3) Waxing – Ankles are a no-go area for waxing for me but I find eyebrow waxing pain free. Both Michelle and Sasha are so quick and skilled that by the time i’ve started to recall my latest “interesting” story I want to share with them, they are finished! Michelle will then wax your brows to create the perfect arch for your face shape. 4) Trimming –Michelle then gently combs and trims your brow to ensure that each single hair perfectly sits in place. 5) Tweezing – My least favourite part of any waxing experience but lucky for Bren Pauls clients it is always a quick step of any treatment. This is my favourite treatment to have done! HD Brows completely changes my look and has honestly lasted around 2 and a half months before (now) it is ready to be done again. It is great value for money and something I highly recommend. Be transported away to a place of serenity and calm on this well oiled machine. 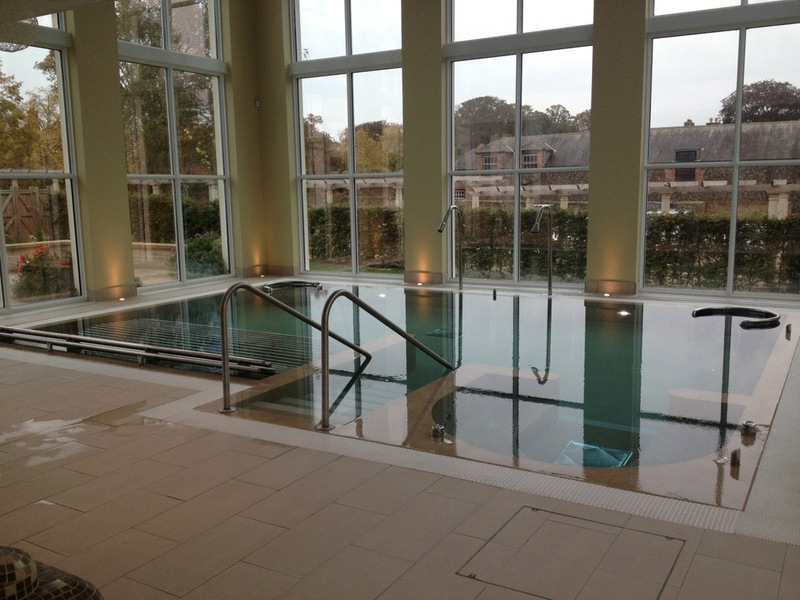 Today my Mum and I headed to the relatively new Spa experience in Newmarket. 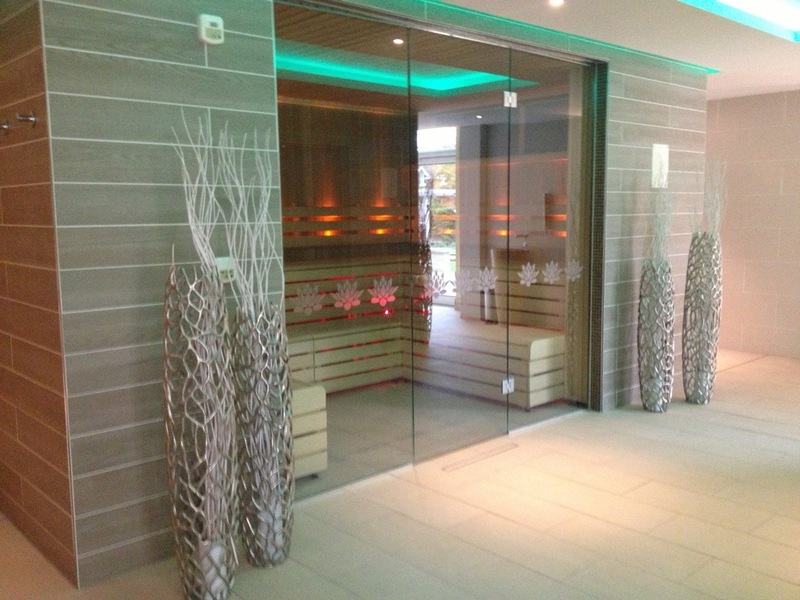 The Spa at Bedford Lodge boasts to offer a “Tranquil Escape” and that it certainly does. On arrival we were welcomed by the soft tones of the receptionist who efficiently checked us in and showed us around the spa. We changed quickly in anticipation of the treats ahead of us but did note the handy GHD’s that were available and the quirky and attractive style of the room. 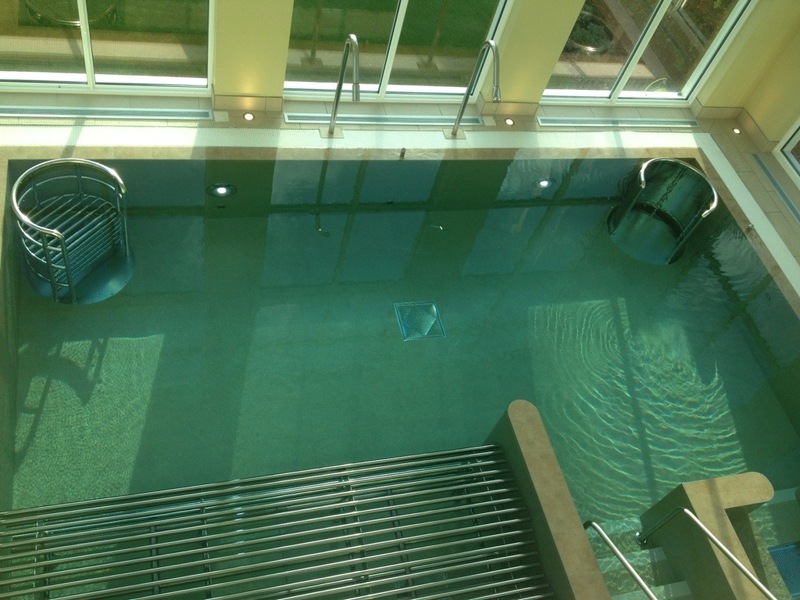 With soft robes and branded flip-flops on we made our way through to the hydrotherapy pool. The shower experience was a giggle and started the day off on a high note. It would have been nice to find a board outside the shower telling us the benefits of each setting but perhaps they’re just there to awaken your senses and have a bit of fun!! Next we moved into the pool itself. The pool is made up of two impressive and effective shower heads and four water experiences created by metal bars. Do not let the mental image of this put you off. The bars are cleverly designed to mould around your body and ensure that the water is pounding your limbs in the correct place! As mentioned above, it was a shame that the shared Jacuzzi area would not work. Sadly the only member of staff we saw for twenty minutes was a tour guide and it seemed unfair to mention it then. After at least ten minutes in each area of the hydrotherapy pool and a good natter putting the world to right we moved into the steam room. It is a lovely temperature and has a plaque outside outlining the benefits and health precautions of the treatment. Our one complaint about the steam room was that it was awfully dark. Mum, who for obvious reasons had to take her glasses off, couldn’t see a thing and it took a good five minutes of us perching on the end of what we hoped was a seat before my eyes adjusted enough to navigate ourselves into a more comfortable position. Once we were settled it was a lovely steam. The seats comfortably mould to your body and the gentle steam provides a constant heat unlike some steam rooms that seem to constantly have to adjust themselves. After our steam we were well and truly ready for a glass of water but unfortunately the machines by the pool were producing warm water. Upstairs there is a mezzanine and roof garden with a hot tub. Neither of us being ones for cold weather we opted for the cushioned bench in the warm. Soon we were introduced to Alisha and Julie. As I sat in the arm-chair in the treatment room, Julie very clearly explained the treatments ahead of me and taught me to allow my own senses to choose the aromatherapy scent my body required. The body scrub was gentle, unlike a Traditional Moroccan Hamman spa, yet very effective. The 30 minute treatment finished with a warm shower in the room before I got back into the heated bed for my full body massage. I have been lucky enough to experience massages in many different places from Marrakech to turkey and the Alps to top Uk spa’s. The full body massage by Julie at The Spa at Bedford Lodge was the best relaxation treatment I have ever received. The room includes a heated unit within a cupboard to provide hot towels, a hydraulic heated bed, shower and relaxing music. The only change I would like is for there to be a swimsuit dryer, as found in the changing rooms downstairs, that the ladies can use to prevent you from having to put on a damp swimsuit after your incredible treatment! I was then taken to the exclusive relaxation room to “come round” and meet with Mum. The room is very dark and relaxing (if a little cold) and a nice place to enjoy a flavoured water. It turned out that my Mum’s massage by Alisha was just as personalised and fabulous as my own. We had just been questioning whether we were the only people in the spa that day when we walked into the lunch room made up of comfortable sofas and arm chairs. The room was almost full of couples and groups of ladies that had also been in the spa the entire morning. The schedules are cleverly put together so that you rarely bump into other groups and couples which is wonderful for a truly quiet and exclusive experience! Lunch was delicious. The chocolate and lavender brownie and the carrot and walnut cake were both wonderful and particular well portioned! After a few hours of reading and Lounging we were called in for our hour-long facial. I was once again treated by Julie who explained the process and allowed me to hold a mirror to watch her use a light device on my skin to establish my skin type. The only area to be highlighted were my eyelids which proved to be dehydrated. Julie ensured me that She would focus on this area. The treatment was extremely indulgent although I am confident I was asleep for at least 40 of the 60 minute treatment. All in all the day was fantastic. The staff have been well trained and although have clearly learnt a script, refrain from sounding robotic at any point. They’re pride and enthusiasm for the spa and its future shines through creating a wonderful atmosphere. I would highly recommend the Relaxation Day for couples and would encourage you to book in for a massage alone should you be looking to treat yourself. I must add that the Relaxation Day for two at The Spa at Bedford Lodge was won by my partner during this years July festival. Nonetheless all views are my own.